6.25'H x 5.7'W, approx. 13 lbs. 500 M6 LED bulbs. One of our most popular decorations for homes, businesses, and municipalities. 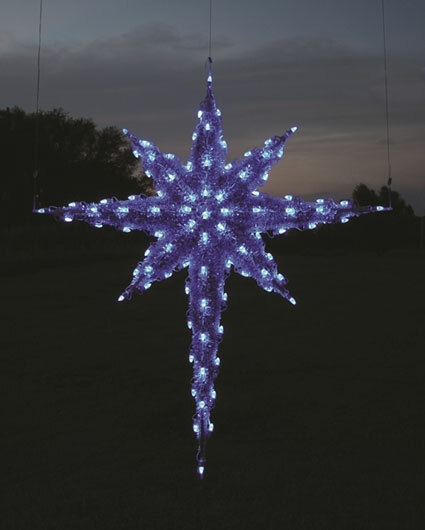 This 6-foot hanging Moravian star is lit with commercial grade LED lights.